Graphic Design USA, a news magazine for graphic designers and creative professionals, publishes two e-newsletters per month. One of them is entirely focused on green design issues. Here’s a link to the latest issue. The newsletter is free and features a wide range of interesting news snippets about paper, industry trends, etc. It’s worth a quick read every month. Here’s a link to past issues as well as a sign-up form at the bottom of the page. Enjoy! A friend of mine, Scott Belsky, runs a great company called Behance, which designs products and services for the creative community. One of their products is the Behance Network, which is a social network for creative professionals. 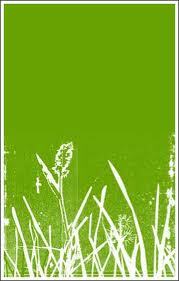 It’s a great place where people share their work, look for gigs, and search for talent. 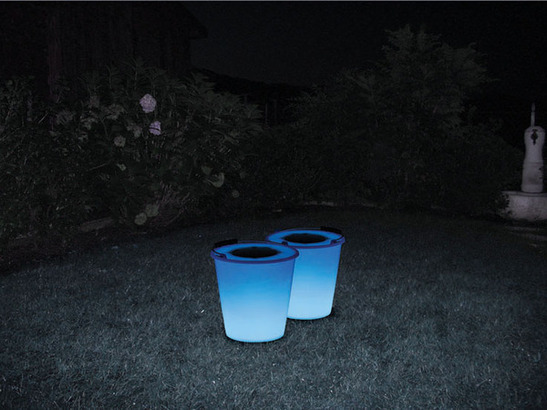 Some of the designers have made sustainable packaging for new CDs, and others have made solar-powered buckets that when left outside in the sun can become a source of light at night (see image above). What’s important is that product designers are out there, looking to come up with interesting ideas for new items that can help us live more sustainable lives and leave less of a footprint on this planet, while still being aesthetically pleasing. My research has shown that although people want to buy “green” products, they don’t want to have to sacrifice quality in order to do so. They are willing to pay more for them as well. Savvy green marketers will hire people like the ones featured on this network to help them come up with new products to help them send a values-laden message to their customers and generate higher profits at the same time.